Just like parents, grandparents of divorced grandchildren need to know how to manage the new relationships created by the event. 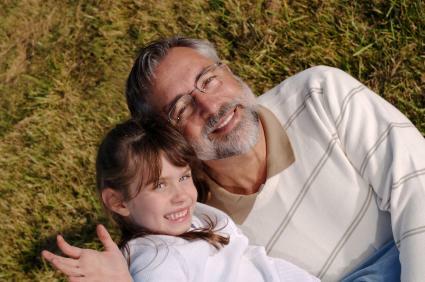 This includes not only their relationships with their grandchildren, but also their interactions with the ex-spouses. Support groups provide these grandparents with advice on how to manage their changed familial relationships as well as emotional help for themselves. Support groups dedicated to grandparents of divorced children may be difficult to find. Many times, these groups are geared towards grandparents raising grandchildren. Regardless, grandparents are nevertheless given separate care and guidance about handling their specific situation. Grandparents Resource Center: This non-profit organization focuses on providing assistance and resources to grandparents of troubled grandchildren. Although they mainly provide help with obtaining custody, one of the services they offer is support group referrals. AARP Help for Grandparents Raising Grandchildren: This service assists grandparents in locating support groups in their area. Despite its name, most groups also provide support for any type of grandparent issue, regardless of where the grandchild lives. The non-profit organization operates an online support group for grandparents raising grandchildren. Although geared towards that audience, discussions in the forum cover a multitude of topics, including handling divorces. Churches, community centers and schools often allow support groups to use their spaces for meetings. They may be able to provide you with the names of these groups and the times that they meet. You can then contact the group directly to determine what types of support they provide and individuals they serve. You may want to attend one of their meetings before committing to their program. Private family counselors may also have information about local support groups. Many times, however, you will need to meet with the counselor before they will share that information with you. Support groups allow grandparents to discuss the troubles and questions that they have about the divorce in their family. Their main benefit is that they allow attendees to talk freely, without judgment and to seek guidance from other attendees about how to handle a situation. Their drawback, however, is that they may not allow for enough time to thoroughly discuss every aspect of an issue or result in developing an actual solution to a problem. They are, essentially, discussion opportunities that may or may not provide resolutions. If a problem is particularly complex or dangerous professional psychiatric assistance may be necessary. A support group exists to provide just that: support. They offer an organized forum for attendees to talk about their troubles and acquire advice on what to do or how to handle a situation. Sometimes, advice is extremely limited, and attendees are encouraged only to talk about their problem. This is to avoid members feeling as though other members are telling them what to do. Support groups do not fix problems. They are helpful in guiding attendees on how to traverse through the situations they face, but will not make problems disappear. They are not therapeutic, either, and will not provide licensed therapy or mental counseling. Multiple support groups exist because not every group is right for everyone. Group focuses, dynamics and other aspects sometimes make a support group better suited for one type of individual than another. When selecting a support group, the most important thing is that you feel comfortable during the meetings. This means that you should find the other attendees welcoming, calm and not judgmental. After all, if you are uncomfortable it is unlikely that you will share you story or ask for guidance from the other members, which makes your attendance at the group unproductive. Also consider how the logistics of the group work with your schedule. If the group meets once every month, but you would like it to meet more frequently, it might not be the best group for you. It is important to remember that support groups are fluid. Members come and go and the topics that are discussed change over time. Because of this, your joining a support group should be fluid also. You do not need to dedicate your life to a support group, but should rather feel free to move on or stop attending when you believe that you have obtained everything you can from it. Attend and try out multiple support groups before committing to one. Additionally, remember that you can leave a group at any time. The goal of support groups is to help you manage your relationships with your grandchildren during and after the divorce and help them through a difficult time. Your support group should assist you with those goals.